Most of us like to keep up to date with digital devices & gadgets, which means regularly checking our smartphones & smartwatches as well as spending up to 8 hours a day looking at tablets, computer screens & TVs, but do you realise that the use of all this digital technology demands the utmost from our eyes. The convenience and productivity afforded by these devices has come at the cost of increased vision problems and associated symptoms, because the eyes are constantly having to switch viewing focus from near to far objects which can cause digital eye strain, also known as computer vision syndrome. A recent survey conducted by the Vision Council of 10 000 adults revealed that over two-thirds of adults who regularly use digital display devices experience symptoms associated with digital eye strain, including eye strain, blurred vision, neck/shoulder pain, headache, and dry eye. Many of these symptomatic adults are in their 30s and 40s who might otherwise have normal range of vision. Symptoms can appear in as little as 2 hours. These figures are continuing to rise so it’s little wonder that the leading lens manufacturers have been investing much of their research & development time into creating the optimum lenses to complement our digital age. These fantastic new lenses are perfectly matched to the use of digital displays, and help to relax & protect your eyes from the visual demands of life today. 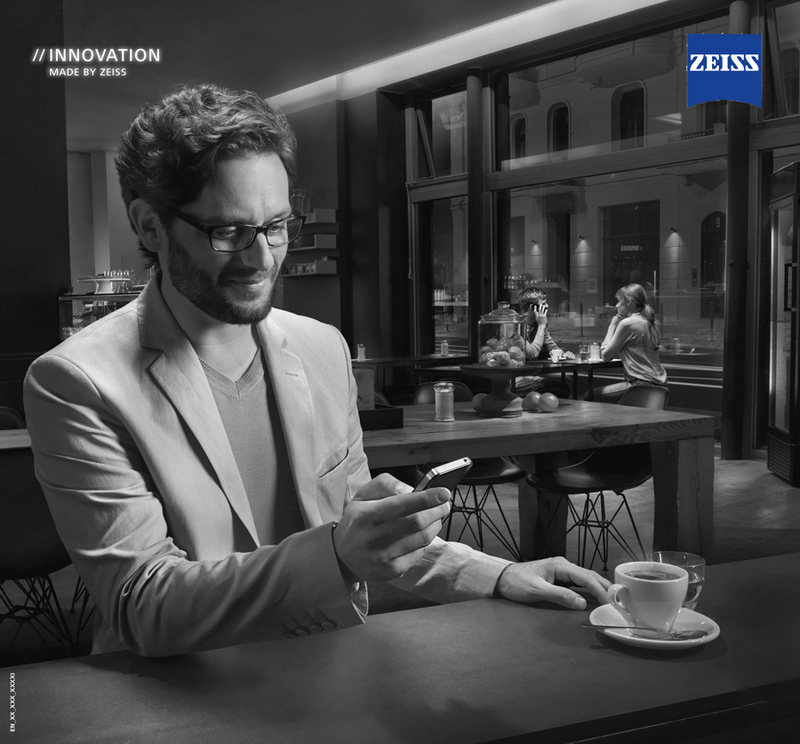 Our favourite new optimised lenses include the Zeiss Digital lens & the Hoya Sync III, which together with the Essilor Eyezen™ lenses, promise cutting-edge technology so that everyone can enjoy a connected life, whether they need prescription glasses or not. A recent study showed that the severity of eye strain symptoms was reduced by up to 84% for those people wearing an accommodative support lens so why not pop into the practice today and talk to one of our fantastic dispensing opticians about the perfect lenses for your lifestyle needs. We hope you will love them as much as we do.